Secondly, notice what your state of mind is like. What thoughts are present? Are they thoughts of the future or the past? Are they thoughts of worry, planning, remembering, judging, and figuring out? Is your mind clear, collected, unified? Or is it dull, muddy, scattered? Just notice what’s going on in your mind without any judgment or self-criticism. Again, simply bringing awareness to how your mind is and what thoughts might be present gives you important information about what is driving your behavior right now. When you are aware of what patterns are present in the mind, you are less likely to be controlled by them. 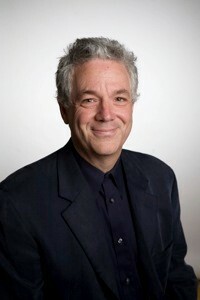 Bill Scheinman is a Senior Consultant and Facilitator with the Potential Project, the leading global provider of corporate mindfulness training. He is a graduate of teacher trainings in Mindfulness-Based Stress Reduction from the Center for Mindfulness at the University of Massachusetts Medical Center, and teaches MBSR classes in San Francisco and Berkeley. Bill is currently a member of the Community Dharma Leaders Program at Spirit Rock Meditation Center. Bill’s next class starts on May 3, 2016 in Oakland. Learn more or sign up. Visit http://stressreductionatwork.com/mindfulness-blog/ for more blog posts from Bill.